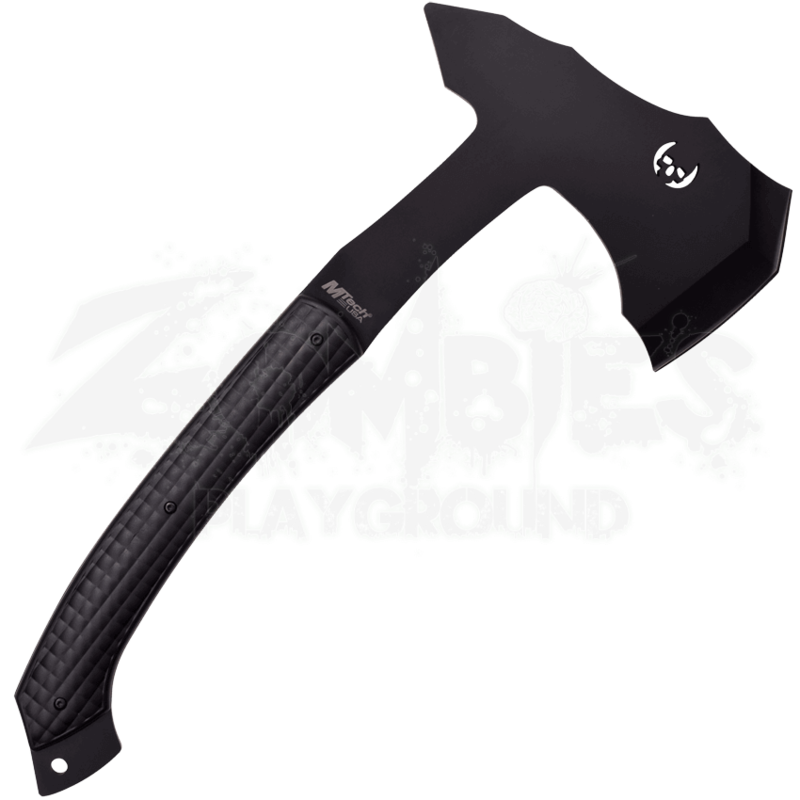 Whether you are chopping firewood at night or needing a weapon to add to your self-defense arsenal, this Stealth Black Hand Axe makes a great first choice. The matte black blade will ensure your desired target never sees you coming. Made of 4mm stainless steel, this hand axe features a full tang black blade. 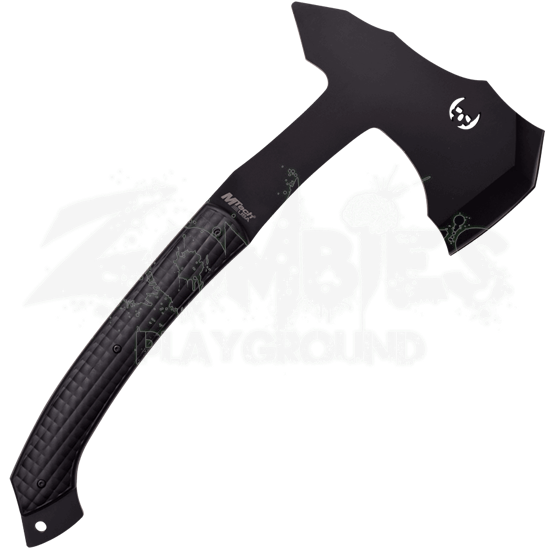 This axe features a flat splitting edge and a reverse spike poll which provide added utility. A generously sized handle has a black nylon fiber overlay for comfort and a secure grip. The end of the handle also includes a lanyard hole. For safety, a 1680D nylon sheath is provided to cover the blade when not in use.